Men want to be him...women want to be with him...but Boaz is Dead. In this insightful & groundbreaking book, Mark addresses some of the various issues and myths that abound among Christian singles. "Boaz Is Dead & 9 Other Essential Truths Every Christian Single Should Know" will enlighten you on what being equally yoked is (and what it's not), the pitfalls of falling in love with avatars, ways to know if they're into you or just the IDEA of you and much much more! Men want to be him...women want to be with him; but I have bad news for you...Boaz is dead. In this insightful & groundbreaking book, Mark addresses some of the various issues and myths that abound among Christian singles. 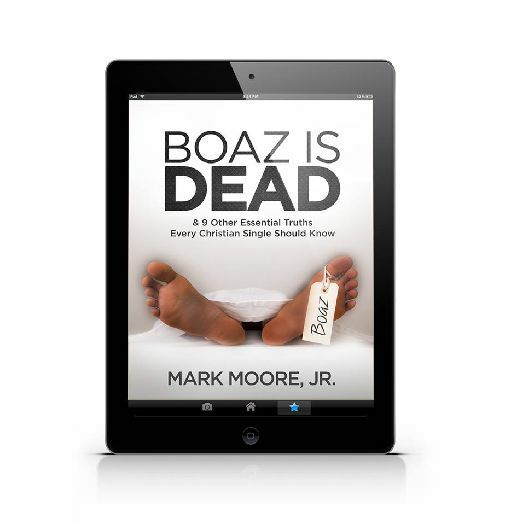 "Boaz Is Dead & 9 Other Essential Truths Every Christian Single Should Know" will enlighten you on what being equally yoked is (and what it's not), the pitfalls of falling in love with avatars, ways to know if they're into you or just the IDEA of you and much much more! Download your copy today to join the conversation that singles are having all across the nation and in parts of the world!